Here at DiabetesSelfManagement.com, we’ve periodically addressed the issue of prescription drug costs — from unusual spikes in generic drug prices to the extra costs associated with having diabetes. While the reasons for drugs costing what they do may be complex, there are often steps people can take to lower their out-of-pocket costs — from switching to a generic alternative to enrolling in an assistance program. But according to the results of a new survey, both doctors and patients may need to be more assertive to ensure that patients can afford the drugs they’re prescribed. The poll, conducted by researchers at the University of Michigan, asked a nationwide sample of older adults ages 50–80 about their habits and costs related to prescription drugs. It found that 63% of older adults take at least two different drugs, while 16% take six or more drugs — with 19% showing a high complexity of drug management based on having six or more drugs prescribed by multiple doctors. 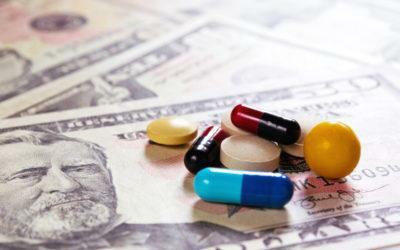 Overall, 27% said that the cost of their prescription drugs was a burden. But only 51% of those who said this had talked to any of their doctors about the problem. Among those who did talk to a doctor about drug costs, there tended to be positive results, as noted in an article on the survey at the University of Michigan’s Institute for Healthcare Policy & Innovation. In 67% of the cases, the doctor recommended a less expensive drug, and 37% of the time a pharmacist was able to give a similar drug recommendation. The researchers concluded that based on these results, doctors should be more proactive in starting conversations with patients about drug costs. Unfortunately, they note, one barrier to having this conversation is often that a doctor has no way of knowing how much a drug will cost a patient until after it’s prescribed. This makes it even more important to give patients the opportunity to raise concerns, and to let them know they can also talk to their pharmacist about cost-related issues. Ultimately, the researchers write, the cost of drugs and other treatments is an important topic that should be discussed at appointments just like traditional medical concerns. What’s your experience with discussing drug costs with your health-care providers — have you ever raised the issue? Has your doctor? Do you feel this discussion should be a routine part of appointments, or is it best handled on a case-by-case basis? Have you ever switched to a generic alternative, or a completely different drug, because of cost considerations? Do you feel that drug costs pose a significant barrier to your diabetes management? Leave a comment below!